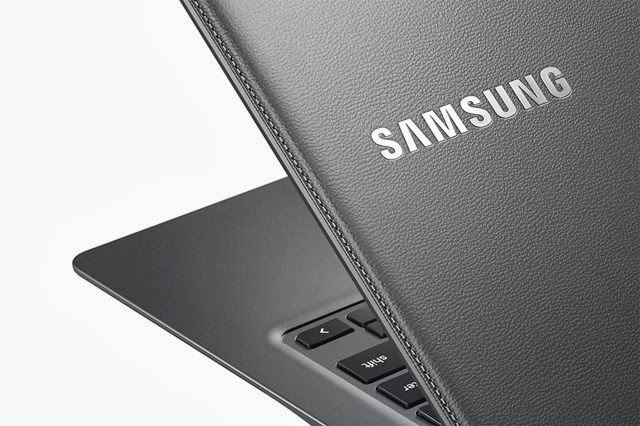 Samsung announces new Chromebooks finished "faux leather"
Earlier today , we showed pictures leaked by @ evleaks than would be the second generation of Chromebooks from Samsung. Now , the company officially Products , sending a release to the international press with the details of the two models that hit the market as early as April . One has a 11.6 '' screen and comes in two colors : white and black. The second model , with a 13.3 '' screen can be found only in gray but has some more interesting settings than the younger brother. The two models and three colors have the faux leather finish like the Galaxy Note 3 . The new line of computers with Chrome OS Samsung Chromebook is called 2 and will even have an ARM chip manufactured by Korean . Both models will bring under the hood one Exynos 5 , eight cores, plus an LED screen and battery that lasts up to 8 hours ( 11 inches) and 8:30 ( 13 inches ) . Both models also come with an SD , 16 GB SSD storage cards , plus HDMI and USB 2.0 and 3.0 outputs . The company did not inform a more specific date, but the Chromebook line 2 should be available in international stores until April this year. It is not known when or if they arrive in every country . Outside, the price is $ 320 for the smaller model and $ 400 for the largest.